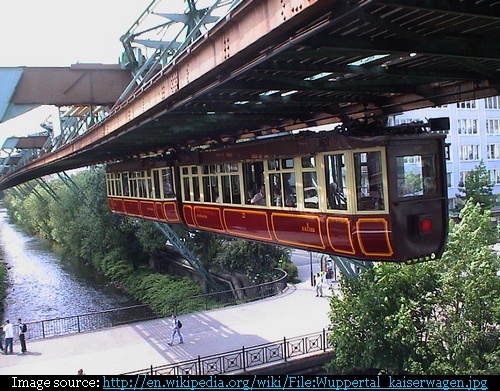 Most of us have read or seen or even travelled on a modern day mono-rail system but few of us know that as back as 1901 a mono-rail (German - Schwebebahn) has been functional at Wuppertal, Germany. 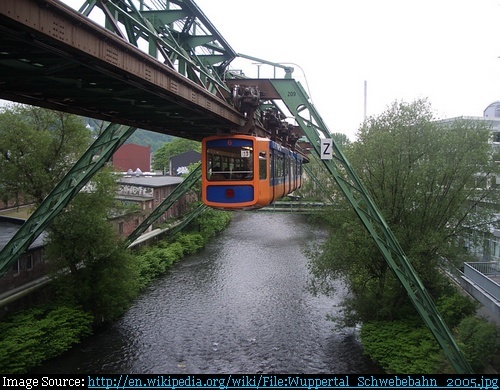 The 'Schwebebahn Wuppertal' is World's oldest and first mono-rail system with carriages hung below the rails. 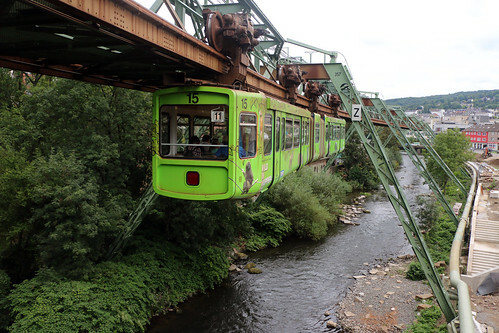 The suspended carriages travel along a 13.3 kilometres long route, at a height 12 metres over the local river Wupper between Oberbarmen and Sonnborner Straße and approximately 8 metres above the city streets. The entire trip takes about 30 minutes. 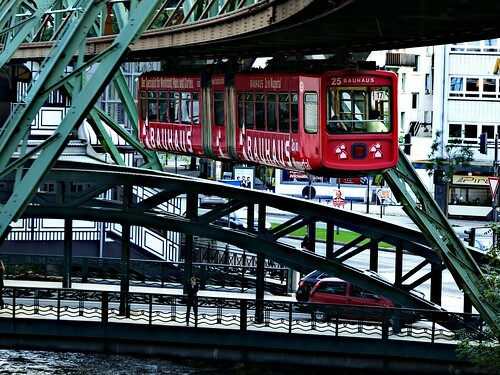 The Wuppertal Schwebebahn is considered one of the safest means of transport in the world and carries more than 75,000 passengers a day. Shown above is "Kaiserwagen", the original train used by Emperor Wilhelm II during a test ride on 24 October 1900. It is still operated on special occasions and for charter events. Now a days few towns/theme parks have adopted this mode of transportation. 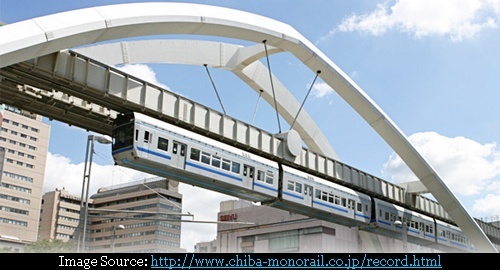 The town of Chiba, on outskirt of Tokyo Japan has now claimed the world record for the longest (15.2 km) suspended monorail system (pictured below).